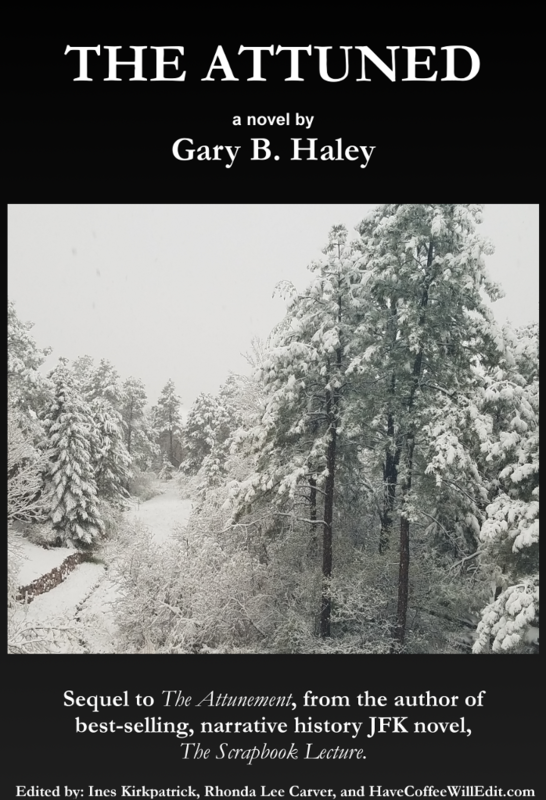 The Attuned, book 2 of a planned trilogy by Gary B. Haley that began with The Attunement will leave the reader hanging breathlessly. I just want to make that clear. But in between the covers of this exciting tale, the reader will be held captive as the talented author weaves a complicated web that starts and stops, continues and turns; leaving the reader hoping the author can get the sequel out soon. The many strands occasionally overlap, bringing seemingly disparate characters together but not to a resolution. The author has an excellent command of language and his descriptions will pull one into the story... to make readers feel like they are experiencing the story just as the characters are. It is exciting; it is sad; it is scary; it will hold your attention. No spoilers given...you must make that journey for yourselves. I voluntarily reviewed an advance copy of this book. Most highly recommend.